The leaves from a medieval pocket Bible were written in Latin Gothic micro-minuscule script with approximately ten lines per inch. 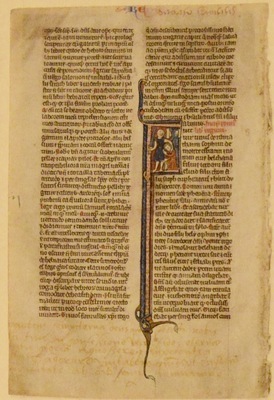 The miniature on this leaf is placed at the beginning of 1 Kings. Its violent subject appears related to the death Heli’s sons.